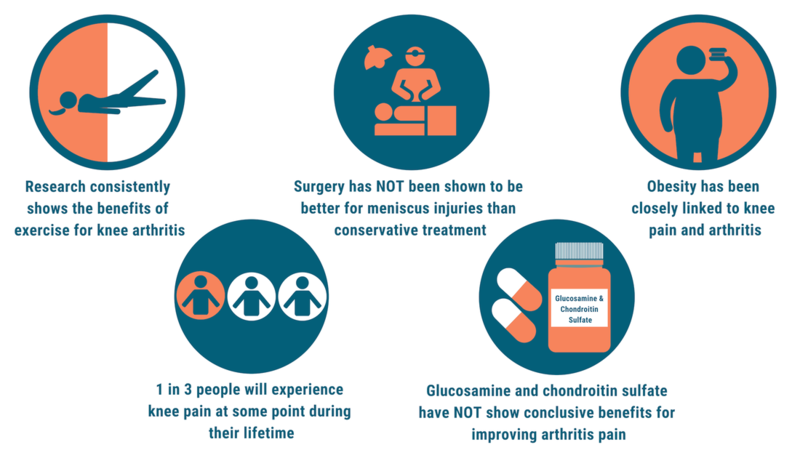 Taking supplements or opting for surgery may not be the BEST option for your knee pain. Fortunately, their is hope! The research shows that following an exercise program, receiving quality education, and weight loss (when appropriate) are keys to returning you back to the activities you enjoy most! You just learned about knee pain in general. Now follow our knee pain exercises, soft tissue videos, and additional knee pain advice below.